The power went out at work today and the 90 minutes sitting in the dark with my coworkers made me feel each of my 40 years on this earth. I had been at work for about 15 minutes when a strong line of thunderstorms rolled through the Memphis area, knocking out the power in the office. Fortunately I had my trusty little lantern in my desk so we all weren’t sitting in the dark, waiting for the lights to come back on. The lights had been out for less than five minutes when someone said they wished they had a campfire. Less than a minute later someone mentioned resorting to cannibalism. I didn’t tell him I had enough snacks in my drawer to get us through the rest of the week because I didn’t want him to off me first. Not long after that I was regretting my decision. The next 80+ minutes were spent listening to my coworkers talk about stuff that I either had no idea about or things that made me feel old. One coworker said he got his first cell phone when he was 17, in 2005, a mere 10+ years after I had my first cell phone. They started talking about some of the “toys from the 80s,” but I’m pretty sure they meant the early 90s instead. G.I. Joe’s, planes, forts, ships, etc. One guys parents wouldn’t let him play with or watch G.I. Joe. I will now refer to him as The Commie. He turns 30 later this year. There was a discussion about who had the most G.I. Joe’s and accessories. Somehow they launched into a discussion about the movie Tron. Well, actually it was more of a discussion about which came first, the video game or the original movie. I remember playing the Tron video game at the skating rink (remember those? )… BACK IN THE 80s (it was released in 1982). Because our company is near the airport everyone started wondering if planes were going to be able to land since the power was out there as well. That lead to them talking about how much “extra gas” is in airplanes in case they were circling until the power came back. I was surprisingly quiet while the lights were out. All I kept thinking was how I could fall asleep if everyone would just stop talking, which of course didn’t happen. When the lights are on at work, sometimes hours go by and no one talks, but the second the lights go out no one shuts up. 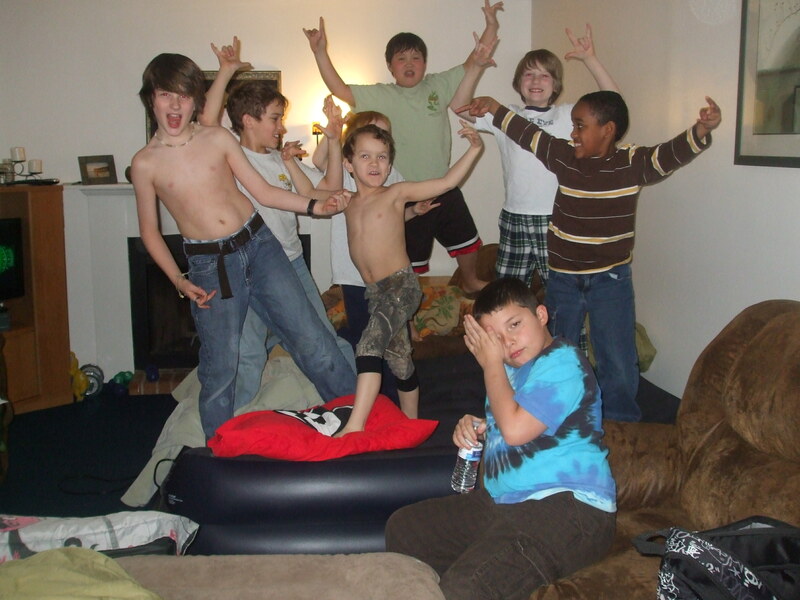 It was like a sleepover with 10 year olds. That’s me in the front… just wanting to sleep. Fortunately the lights came back on… about 23 seconds after our manager told everyone we could take a long lunch and come back at 12:30. Now I’m ready for the lights to go off again so I can finally get some sleep. Gallery | This entry was posted in Daily Life and tagged coworkers, daily life, humor, life, Postaweek2013, television, toys, TV, Video game, work. Bookmark the permalink. So, when did you start carrying a lantern around? 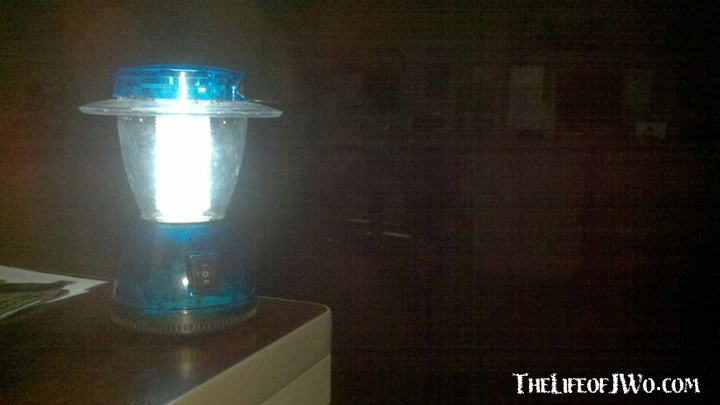 HAHAHA… I brought it in after the last time the lights went out (only for about 20 minutes). We’re in the middle of the building with no windows or emergency lights, so it is pitch black. Oh ok. Because that seemed a little weird that you had a lantern at work without an explanation as to why you had the lantern there. Made me think you play Cast Away or Survivor at work or something like that.